Here are a list and links to the most popular books I have written and republished. If you are able to order a book then I hope you will be blessed in reading it. 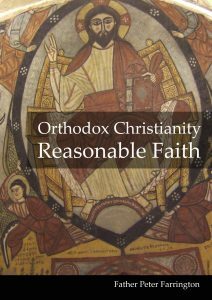 Father Peter Farrington considers the reasonable evidence for the Orthodox Christian Faith, and responds to criticisms of Christianity being a leap in the dark, or equivalent to believing in fairy stories. He begins by showing the reasonable evidence that God exists, that there was person called Jesus, and that his life and teaching are reasonably preserved in the Gospels. He asks what sort of person Jesus was, and what he said about himself. Father Peter reflects on the problem of evil and suffering in the world and shows that this is not inconsistent with the existence of God. 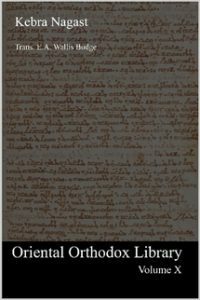 He concludes by examining some of the evidence that makes it reasonable to believe that the Orthodox Church is the same Church that Jesus established in the first century, and describes some of the basic teachings of the Orthodox Church, which the reasonable nature of the Orthodox Faith demand be taken seriously. 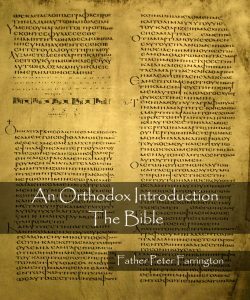 In this book, Father Peter Farrington considers the Orthodox understanding of what the Bible is, and how it was formed, and then reflects on how the Orthodox read the Bible, how it is used in accordance with the intention of the inspired authors. 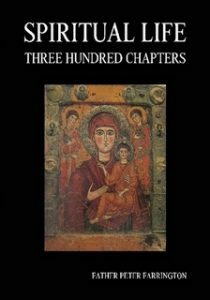 Spiritual Life is a collection of 300 short thoughts and reflections by Father Peter Farrington, a priest of the Coptic Orthodox Church, about the Orthodox spiritual life. Father Peter has been a member of the Coptic Orthodox Church for 22 years, and a priest since 2009. He writes extensively on theological and spiritual topics, and manages a blog which describes the Orthodox Christian spiritual tradition to a wide audience. 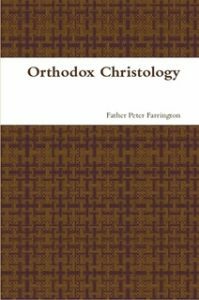 This second edition of a collection of articles and papers on Orthodox Christology reflects the many years of study and research which the author has conducted. Father Peter Farrington is a priest of the Diocese of the Midlands of the Coptic Orthodox Church. Many of these articles have been published in the official journal of the Church. 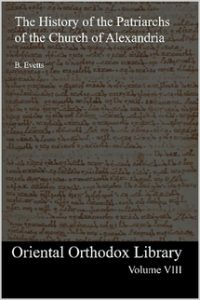 Each one provides an introduction to some aspect of Orthodox Christology, or an insight into some area of Orthodox history and tradition. These articles have been drawn together to produce a convenient collection of materials which are directed at an intelligent Orthodox laity. 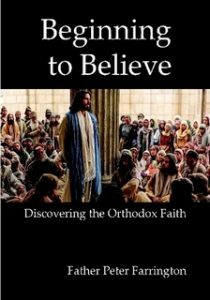 Father Peter Farrington describes the basics of the Orthodox Christian faith in 10 short chapters for those just beginning the journey towards faith in God. This little book is ideal for youth, those who have little idea of Christianity, and those considering what the Christian faith might mean. It is intended to be useful in pastoral and evangelistic situations. 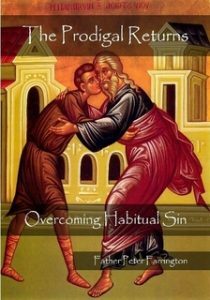 In this book Father Peter Farrington considers how it is that we come under the power of sinful habits, and reflects on the healing that God will provide, as we take the necessary practical and spiritual steps to break free. The Orthodox Churches are often accused of simply following religious practices as if they were the same as a lively Christian faith. But the tradition of preaching in the Orthodox Church surely indicates that such criticism is wide of the mark. In Orthodox Churches around the world, homiles are preached at every Liturgy with the intention of encouraging the development of the spiritual life of those who hear, and to reflect week by week on the words of the Holy Scriptures as the Church has organised them for regular reading in the Lectionary. 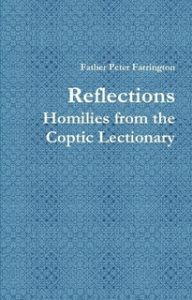 This collection of 52 homilies forms part of that tradition, and has been developed by Father Peter Farrington, a priest of the Diocese of the Midlands in the Coptic Orthodox Church in the UK. The prayers of the Liturgy intentionally ask that the word of God might be presented to the people through the means of the homily which is given, and also that those who have heard the words of Scripture, and the reflections in the homily might put them into practice. This work by the late Father V.C. Samuel of the Indian Orthodox Church is the fruit of an entire life devoted to the study of the Orthodox faith. 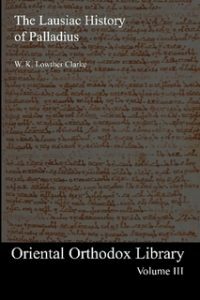 It is perhaps the most important study of Christology and the Council of Chalcedon to be published in the 20th century, and it is a privilege to be involved in its re-publication in the 21st century for a new generation of students and Christians. St Cyril of Alexandria is one of the greatest Fathers of the 5th century, well known for his contributions to the Christological debates concerning Nestorius. 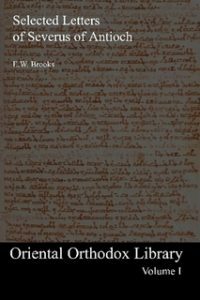 This collection of some of his important Christological and controversial works contains some of his most well known texts, such as ‘That Christ is One’, his writings against Nestorius, and his Scholia on the Incarnation. 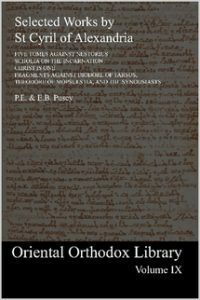 This volume also contains fragments from his writings against Theodore, Diodore and the Synousiasts. This translation of these writings by St Cyril of Alexandria was first published in 1881 and was translated by P.E. and E.B. Pusey. St Cyril of Alexandria is one of the greatest Fathers of the 5th century, well known for his contributions to the Christological debates concerning Nestorius, but his scriptural commentaries are less well known, and are harder to obtain in English translation. 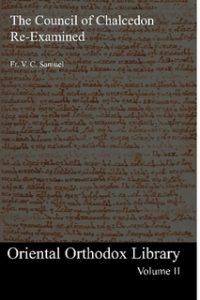 This commentary is especially important because it allows us to gain an insight into St Cyril’s theology through the medium of his writing about the Gospel of St John. This translation of the Commentary on the Gospel of St John by St Cyril of Alexandria was first published in 1885 and was translated by H.P. Liddon. 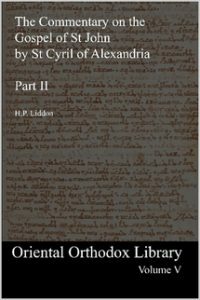 St Cyril of Alexandria is one of the greatest Fathers of the 5th century, well known for his contributions to the Christological debates concerning Nestorius, but his scriptural commentaries are less well known, and are harder to obtain in English translation. This commentary is especially important because it allows us to gain an insight into St Cyril’s theology through the medium of his writing about the Gospel of St John. The Kebra Nagast, or the Book of the Glory of Kings, is an account written in Ge’ez of the origins of the Solomonic line of the Emperors of Ethiopia. The text, in its existing form, is at least seven hundred years old, and is considered by many Ethiopian Christians to be an inspired and a reliable account. Not only does it contain an account of how the Queen of Sheba met Solomon, and about how the Ark of the Covenant came to Ethiopia with Menelik I, but contains an account of the conversion of the Ethiopians from the worship of the sun, moon, and stars to that of the “Lord God of Israel”.